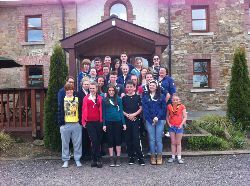 Newgrange Lodge has been home to many diverse groups including family reunions, yoga/retreat groups, youth and school groups, small conferences and team building weekends. Our group facilities include conference rooms, 2 large recreation rooms, plenty of outdoor seating, picnic areas, large plasma TV and DVD player for guest use and complimentary unlimited wifi access. We are also excited to launch our new brand new day activity packages in conjunction with our partners Ecocation. Check out our activities section for further details. The Lodge has an excellent kitchen equipped with commercial standard catering equipment including a large commercial oven, gas cooker and grill ideal for groups who wish to self cater. 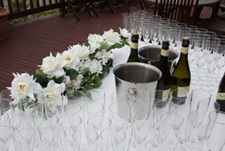 Alternatively we are happy to cater for groups of 20 people plus on request.